T he Atec Intercom System allows for low noise, seamless communications between ground personnel, control room personnel, and control cab personnel during off-wing testing with individual volume control for each person. 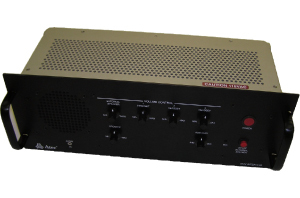 Atec, Inc. developed the ground level intercom system to alleviate the existing problems that the Air Force had encountered with other intercom systems in the T-10 hush houses. These problems included: lack of compatibility with various aircrafts, poor audio quality, and interference of external sources, both electrical and magnetic. Atec collaborated with the aircraft manufacturers and their intercom providers to develop proper interface with aircrafts. Our system interfaces with the aircraft communications panel during on-wing testing, allowing for a safer testing environment where everyone involved in the engine test can communicate and maintain situational awareness. 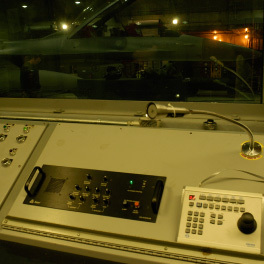 The intercom’s unique ability to noiselessly interface with outside communications systems, as well as aircraft communications panels, provides an intercom kit that can be adapted for multiple uses. 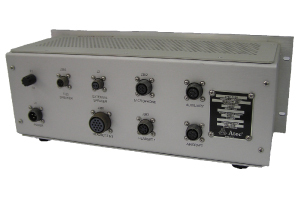 The AHT63561 Intercom System is a direct drop-in replacement for all intercom systems in all configurations of the A/F37T-10 and A/M37T-20 Jet Engine Test Cells, as well as the A/M37T-21 Turboprop Engine Test Cells. Vital Link, Celtech and NETS (formerly Astronics) also have long experience with intercoms. For less challenging environs and simpler communication requirements, their legacy intercom products may satisfy your needs at a lower cost. We welcome your inquiries about all of our systems. Self-contained unit that requires only 115/230Vac 50/60 Hz.